As part of Wednesday's roll-out of iOS 5 and the iCloud functionality heavily integrated within it, Apple also brought online its iCloud.com website. Users can simply sign in to set up an iCloud account at the newly launched iCloud.com by using their Apple ID, the same identification used to make purchases on Apple's App Store. Upon signing in, users are asked to select their language and pick a time zone. The site then presents five options in the form of iOS-style icons. From there, users can check their mail, review their contacts, view calendars, use the "Find My iPhone" feature to locate a device, and access the Web-based version of iWork. With iCloud, documents from Apple's iWork applications for iOS -- Pages, Keynote and Numbers -- are stored online and kept up to date. With it, users will be able to access the latest version of their documents, no matter what device they are reading or editing them on. For more, see AppleInsider's in-depth look at iCloud's new Documents & Data service. iCloud serves as a replacement for its predecessor, MobileMe. Unlike MobileMe, iCloud is free to all iOS 5 and Mac OS X 10.7 Lion users, and offers 5GB of storage, while more can be purchased. 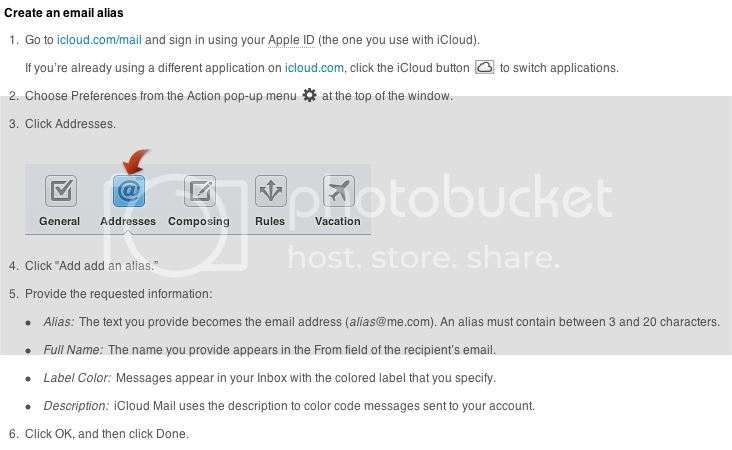 Developers have been testing iCloud with iOS 5 and Lion applications for months. Wednesday marks the first time that the general public has been able to utilize iCloud. The debut of iCloud comes ahead of the launch of iOS 5, scheduled to happen later today. iOS 5 will be available for download for the iPhone, iPad and iPod touch. Users must first upgrade to iTunes 10.5, released on Tuesday, in order to update their mobile device. What if you want to sign in with your MobileMe ID which is NOT your Apple ID for making purchases? where is the conversion tutorial? You can't login yet! Probably you forgot to test it. Except it's not accepting my AppleID. Tried it at iTunes and works fine. Tried it at APP store and works fine. iCloud - nada! So it kicks me over to MobileMe, which after login displays that my Account is not yet eligible for Upgrade. Only iCloud developers. I hope that I am jumping the gun here and this is not the start of a MobileMe -> iCloud fiasco. Shouldn't they do that transparently? When I attempt to login to iCloud, it forwards me to mobileMe for upgrading my account, where it notifies me that only developers are eligible for the upgrade at this time. Entered my MobiMe info and it offered to migrate my account to iCloud. Not ready yet so I cancelled. It's a shame they haven't given us a way to merge Apple IDs (which I use to make purchases), iTunes account (set up long ago and has a purchase history), and MobileMe. I had no problem logging in. email seems to be working, find my iPhone/ipad is working, my calendar is empty (but i don't think i have anything saved to it, as i use google still). Email is very Fast. Sent a test email to my @me account, deleted it from iPad and it was nearly instant on the website, no refreshing. right now, everything has to be a @me.com account... i do not need / want more email addresses..
which is worthless. i will stick with google, i can use any alias i want as long as it has been verified. It must be rolling out in stages. No go here in Central West Florida yet. I am curious ... where are you folks located who are already gaining access? When I tried to login to iCloud, it told me I had to reset my AppleID to my email address. AFter a certain amount of Sturm und Drang, I did that. It then refused to let me do anything else... and now all of my other devices are blocked, since my AppleID has changed and I can't reset them to the email address instead of my old ID. Thanks a hell of a lot, Apple. i have a dev license... been in the Find my Phone part of iCloud for over a month. Now, the rest of the stuff is available. Somehow I thought there'd be a photos item in the web iCloud. I'm in Texas and I got logged in to iCloud. All I could access was Find my iPhone because none of the others have been set up on my computer apparently. I will parrot what others have said. It tells me it is only available to developers. 8:04am central US time. I forgot to mention iWork is there too, but It only has the option to Get the apps for iOS. I do have them, but since they have yet to be updated, none of my files are available yet.